The aldermanic race sets Virginia Mann — a community activist and owner of a private public relations firm — against Tom Suffredin, an attorney who is the son of Cook County Commissioner Larry Suffredin. 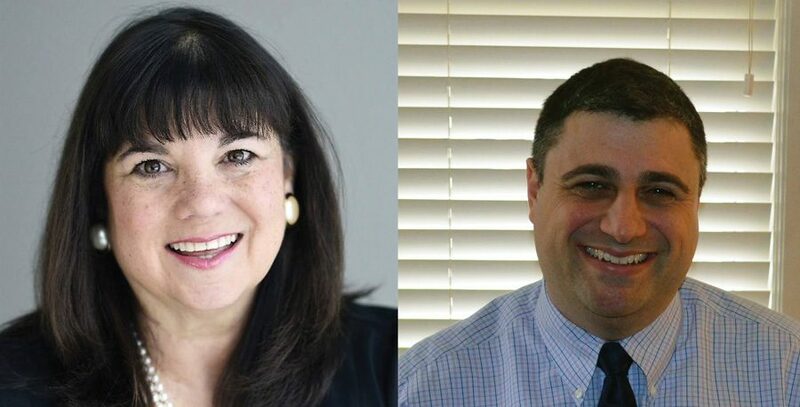 Candidates for 6th Ward alderman have centered their campaigns on the responsible use of city resources and making Evanston an attractive place to live ahead of Tuesday’s municipal elections. Notable endorsements for Mann include Ald. Mark Tendam (6th) and Ald. Donald Wilson (4th), while Suffredin has received endorsements from State Sen. Daniel Biss (D-Evanston) and Rep. Jan Schakowsky (D-Ill.). In a February endorsement meeting, the Democratic Party of Evanston awarded Suffredin 63 votes versus only 28 for Mann. The two candidates are vying to replace Tendam, who gave up his seat on City Council to pursue a mayoral bid in his race against businessman Steve Hagerty. The new alderman will be the first fresh face in the 6th Ward since Tendam took over about eight years ago. Mann also co-founded To Rescue Evanston Elms in 2003. The organization was created to stop the cutting down of diseased elm trees in favor of a lower-cost injection that has saved the city money since its inception, Mann said. Suffredin, who grew up in Evanston, said the city needed to bear in mind that it competes for residents with surrounding communities. In particular, he said, since the 6th Ward borders Skokie and Wilmette, the disparities between the services Evanston provides and the services those communities provide are more apparent. Suffredin said he wants to make living in Evanston a decision that makes “rational economic sense” to encourage people to come and raise their families there. “The city that I want to raise my kids in needs to have a government that’s paying attention and has its eyes open to the challenges and opportunities facing Evanston for the next four years,” Suffredin said. Local elections will be held on Tuesday. In the 6th Ward, the candidate who receives the majority of the vote will become the new alderman.